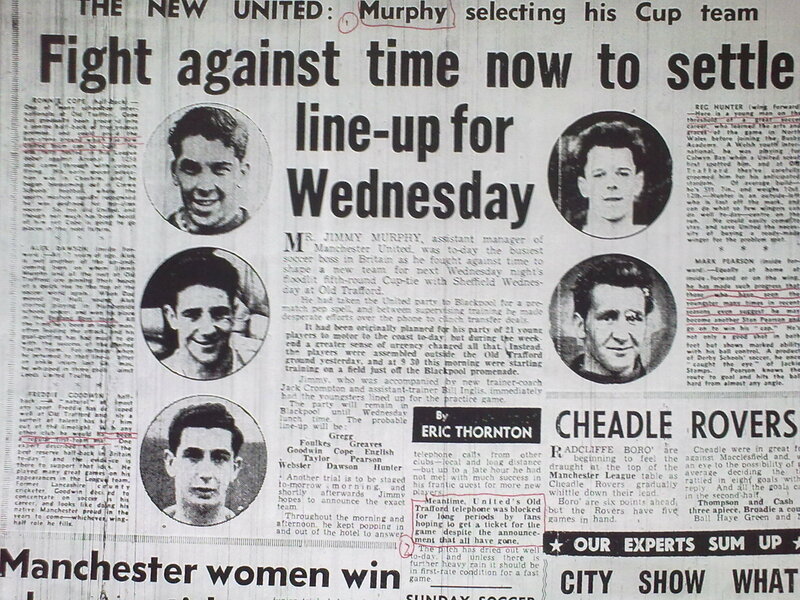 The losses from the crash left massive gaps for Manchester United, which they had to fill before their first match which was to be against Sheffield Wednesday only 13 days later. 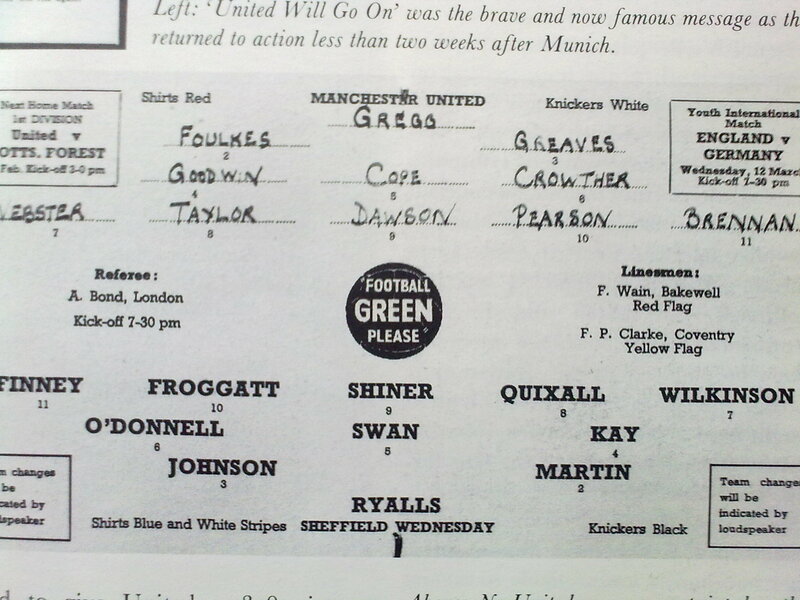 As the teams lined up, Harry Gregg and Bill Foulkes were the only recognisable names on the team sheet. Jimmy Murphy wanted to compliment the influx of youth into the new look Manchester United team by putting some experienced players alongside and in emergency times, Jimmy signed Ernie Taylor and Stan Crowther within days of taking control. The team sheet was left blank as the line-up for the game was uncertain even up until kick off. It was, however, with the performance of a young Shay Brennan in the match against Sheffield Wednesday that a star was born. In a memorable evening, Brennan scored twice for United on his full debut. Over a 13 year period, Shay clocked up 358 appearances as well as helping United to two league titles and European glory in 1968. For Brennan and these reserves, the crash did create some positive opportunities for them to gain a place in a team they would otherwise have only been able to watch from the sidelines. The youth players that became responsible for Manchester United did an extremely established job to begin with after being thrown in at the deep end. Only 3 months after the disaster, they had successfully reached the FA Cup Final and the in following 1958/59 season, Manchester United pushed on to finish as runners-up in the First Division. When you consider football’s ambiguous status in Manchester in the weeks following Munich, it highlights the extraordinary effort from a team made up mainly of young men who had relatively no first team experience at all. These young players coped with the massive responsibilities which were put on their shoulders in ways nobody could have envisaged. Part V looks at the reaction to the crash from the Football League and how the game was changing, leading up to part VI which will be a substantial section looking at Sir Bobby Charlton in detail.